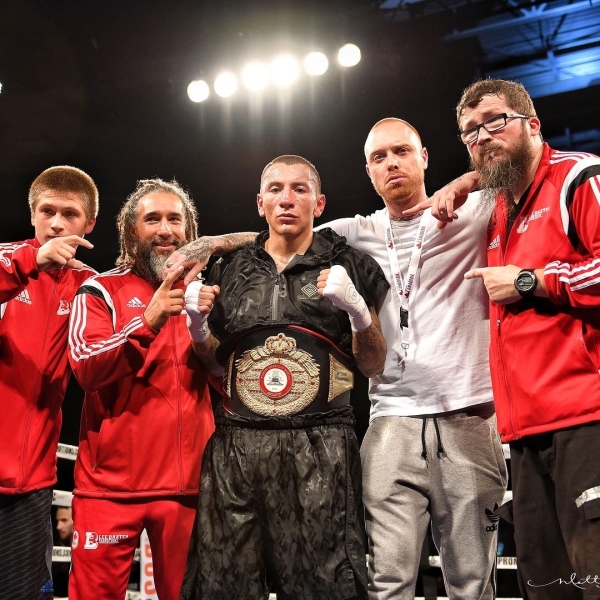 TORONTO, ON—In a fight that more than lived up to its billing, Samuel Vargas and Ali Funeka went to war for ten rounds at the Brampton Powerade Centre on Saturday night. From the opening bell, Vargas assumed the role of the aggressor, bobbing and weaving his way to the inside to land punishing shots to the body. The Philadelphia influence of trainer Billy Briscoe was on full display, as the old school teacher implored him to the techniques of Joe Frazier and Dwight Muhammad Qawi, who was trained by Briscoe's mentor Wesley Mouzon. Funeka mounted a comeback in the later rounds, using his superior reach and experience to work behind his jab, but Vargas' investment in body work was ultimately too much. It's the career best win for Vargas, who retains the WBA-NABA welterweight championship, and looks to get back on network television in a big fight again in the near future. In undercard action, 2016 Olympian Christian M'Billi dominated and stopped Argentinian veteran Genaro Quiroga in four rounds. M'Billi used an impressive arsenal of inside fighting to wear down his taller opponent, causing him to remain on his stool. [QUOTE=sammybee;17969243]Any credible boxer that defeats Ali Funeka at this time shouldn't be proud about it because he has passed his prime. [/QUOTE]Valero defeated himself by TKO...death stopped the fight. Any credible boxer that defeats Ali Funeka at this time shouldn't be proud about it because he has passed his prime. [QUOTE=lolpz;17968963]Whoa..relax man. That's a ppv fight, let it marinate! [/QUOTE] I know you're joking, but the funniest part is they might actually sell a fight like that as a PPV in Canada.